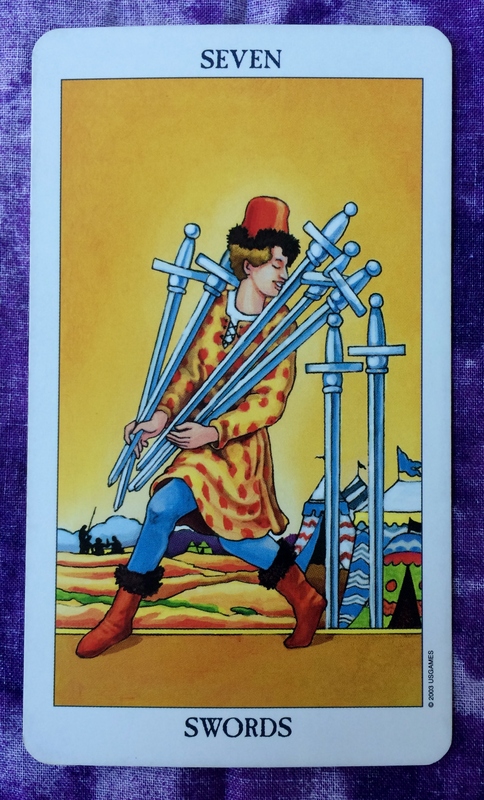 The Tarot card for the day is the Seven of Swords. I believe Benjamin Franklin once said, “Believe none of what you hear and half of what you see.” On most days I wouldn’t recommend being so cynical. But today, maybe that’s the way to go. Verify what people say, and if you can’t verify it, take a wait-and-see attitude. And definitely don’t take anything too personally. The Seven of Swords shows that there may be lots of miscommunication today, both intentional and unintentional. 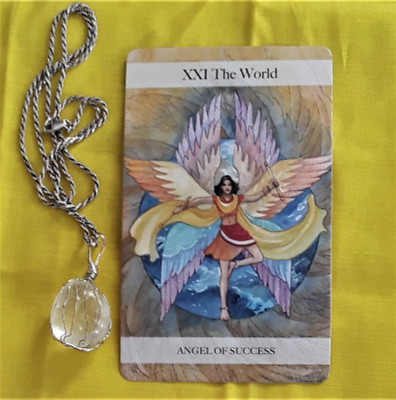 This is in keeping with what’s going on astrologically with Mercury in retrograde, which generally means that there could be roadblocks to communication. In fact, everyone will probably experience at least one memorable instance of miscommunication between now and when the retrograde is over on April 15. Being aware of such influences may help you get through this period a little easier.